The romance was a limp slice of cheese. 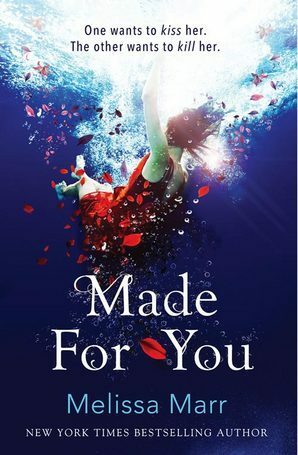 I couldn’t buy into it at all, as most of the romance happened before the novel began and what did they really connect to each other over? Just saying ‘I love you’ over and over again isn’t enough to convince me. And then we get the most contrived ‘sike, we got you’ ending that destroyed any speck of emotional resonance all for the sake of a sequel. 1. Over 500 years into the future and people still use ‘:P’ instead of emojis? C’mon. 2. why why why would anything EVER be justified to the centre?? It’s hard to read and should be preserved for middle grade poetry ONLY. 3. The boys use the phrase ‘chum’ to refer to each other in the beginning and then this is quickly dropped and everyone acts like they didn’t just try and make chum a thing. It’s not a thing. 5. The AI has a poetic voice? I think this just made the centre justification even worse and I know this is supposed to be quirky and different – wow, a none robotic AI – but that doesn’t mean it wasn’t odd. 6. Kady’s humour was one note. 7. Ezra’s humour was one note. 8. I know they’d been in a relationship before but why is no one screaming ‘insta-love’? 9. Is it just me that finds white writing on a black background kind of difficult to read? 10. Unipedia pages? REALLY? This is the most obvious info dump I’ve ever seen! And it’s not even disguised! This has just solidified that sci-fi is not for me. At least not like this. I missed this movie when it was in the cinema, so when I saw it in the library I thought I would pick it up to read before I eventually saw the film! I hauled it in a Library book haul and someone commented that the book was quite different to the movie, I can only agree from what I see in the trailer, but I can definitely say that I was completely underwhelmed by Nerve and can see how a movie would ramp this up 100% The premise in general sounded really exciting but there was so much to dislike about the books, I can’t bring myself to give it any more that 1 star. 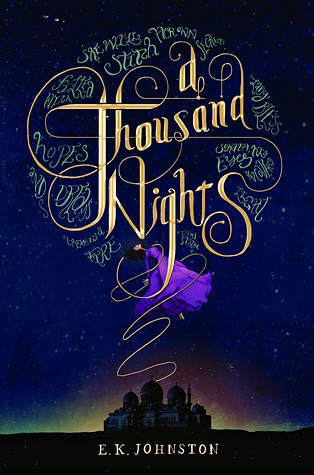 First things first, this cover is absolutely gorgeous, if I could rate it for cover alone then A Thousand Nights would no doubt get 5 stars, but realistically, I just didn’t enjoy the story at all. Apparently, The Wrath and the Dawn is a better retelling of the 1001 nights story, so I’ll be sure to read that one soon! Somehow I have to come up with something good to say about this book, despite irrevocably disliking it. I didn’t find any of the characters personable, and felt as if I was missing something when I wasn’t upset by the ending. I think it’s always a little risky to read books that have had so much hype, because I knew the majority of the plot already. 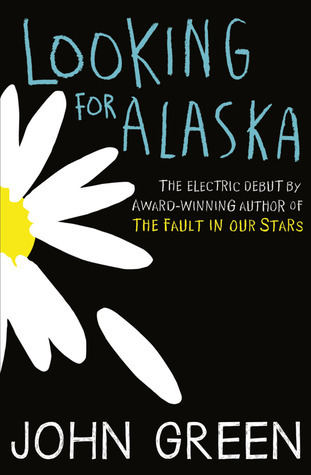 What I wasn’t expecting however, was to dislike Looking For Alaska as much as I actually did. Stacks of Sarah reviewed this book at the beginning of the year, and when it comes to contemporaries I usually trust her reviews wholeheartedly. So, when I saw she’d given it only one star, I was prepared for the worst. The premise made this book sound super duper interesting. Girl can see the deaths of others? Bring it on. Crazy murderer on the loose? I’ll give it a go. Completely cliched romance that pops out of nowhere and characters with little personality or development? Eh, maybe not. I was so ready for this book to be exciting and thrilling, but it turned out that the only original part of this book was the chapters from the killer’s perspective – which were gross and creepy, and kind of uncomfortable to read. 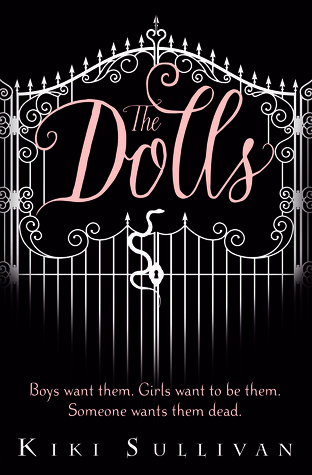 I was looking forward to read something by this author as I’ve been meaning to look into the Wicked Lovely series. Now I’m not so sure. All was for nought, my friends. I have finished the trilogy in exactly the same place as where I started: knowing nothing about anything. 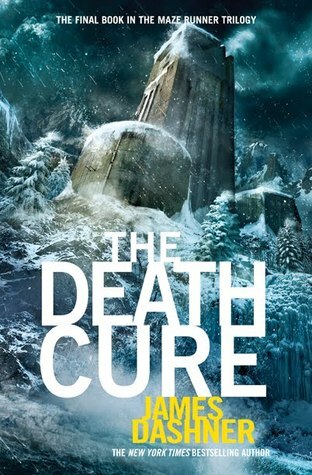 After ‘The Scorch Trials’ ended, probably with Thomas being knocked out because that’s his favourite state of consciousness, I thought: ‘Am I finally going to get some answers? !’ Turns out, the answer was no. So, here I go, with my one star review. There WILL be spoilers from here on out.